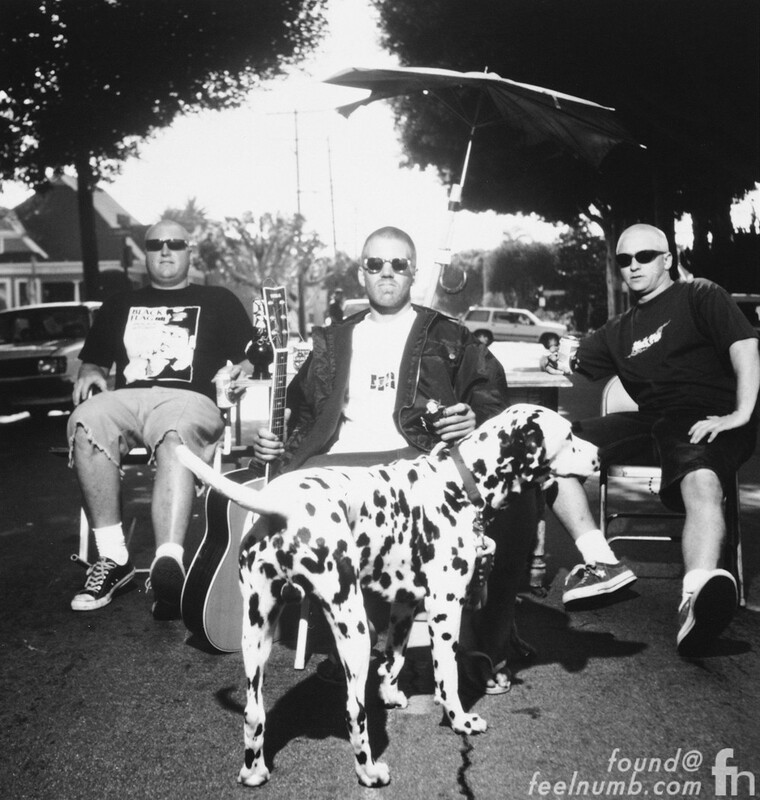 “Lou Dog” toured with the band and was allowed to wander the stage during Sublime live concert performances. Rumor has it Louie became deaf from always being around the loud music. 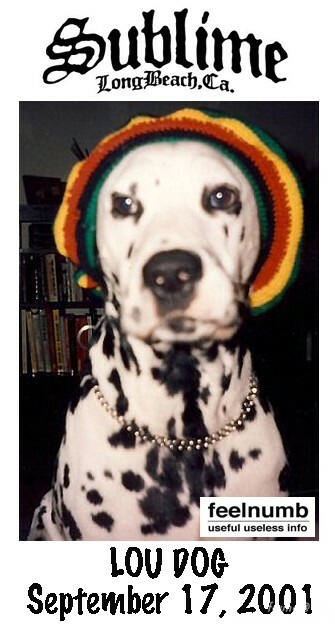 This dog was really truly a part of the band and Nowell’s family. Here’s Lou, Brad and his son Jakob James Nowell. 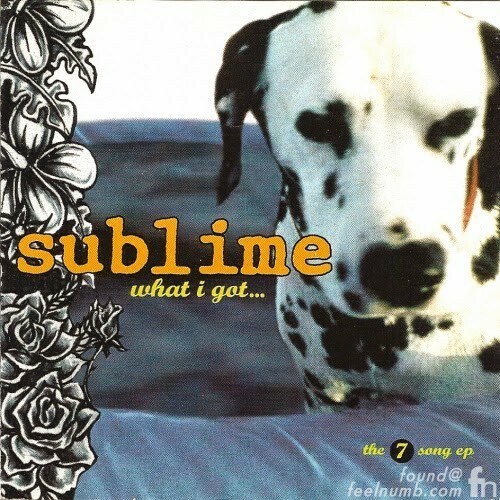 Louie was also referred to in the lyrics of many Sublime songs. 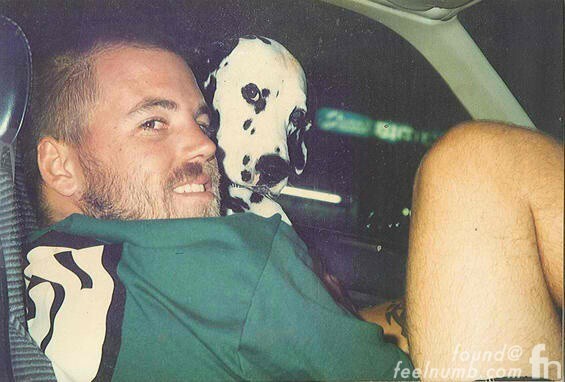 Sadly, “Lou Dog” was even at the foot of the bed on May 25th, 1996 when Brad Nowell died in his hotel room from a heroin overdose. 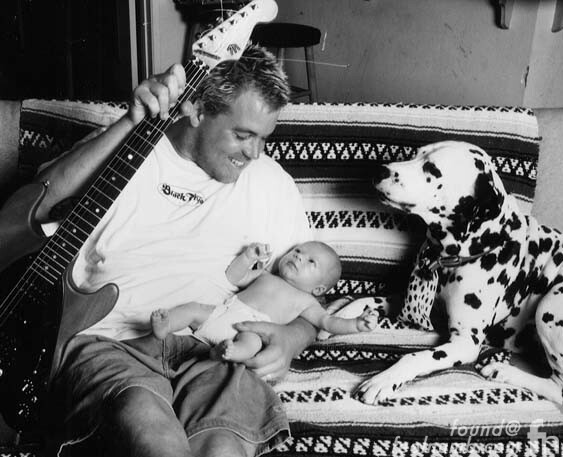 Following Nowell’s death “Lou Dog” was taken care of by Brad’s friend and the co-founder of Skunk Records Miguel Happoldt until “Lou’s” death from old age on September 17, 2001. R.I.P. LOU DOG!! Goodbye lou dog. Youll always be close to my heart.